When I discovered the Newmarket Horseshoe Trail it seemed the perfect way of exploring a town I had never visited before. As soon as I arrived in Newmarket, my first stop was the tourist information Centre (TIC). I’m a big fan of TIC’s and always seek them out if a town has one! As well as being fantastic for getting information about a place, you also sometimes speak to people with insider knowledge who can supplement the array of leaflets you find yourself collecting! Whilst browsing, I found a copy of the Newmarket Horseshoe Trail comprising of 27 places of interest dotted around the town centre – perfect!……so off I went! 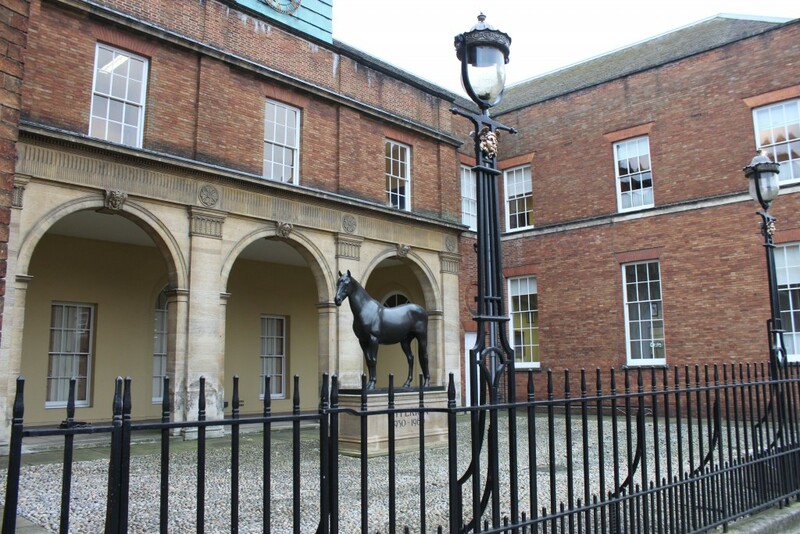 The Newmarket Horseshoe Trail starts at Palace House, which is home to the fantastic National Horseracing Museum a stunning building which I found really eye-catching! A great place to start. Palace House (1671) built for King Charles II. Although later additions were made some of the original palace is still there. The horseshoe trail directs you across the road where you will find what are reputed to be the oldest racing stables in the world originally constructed in 1670’s and now part of the museum. 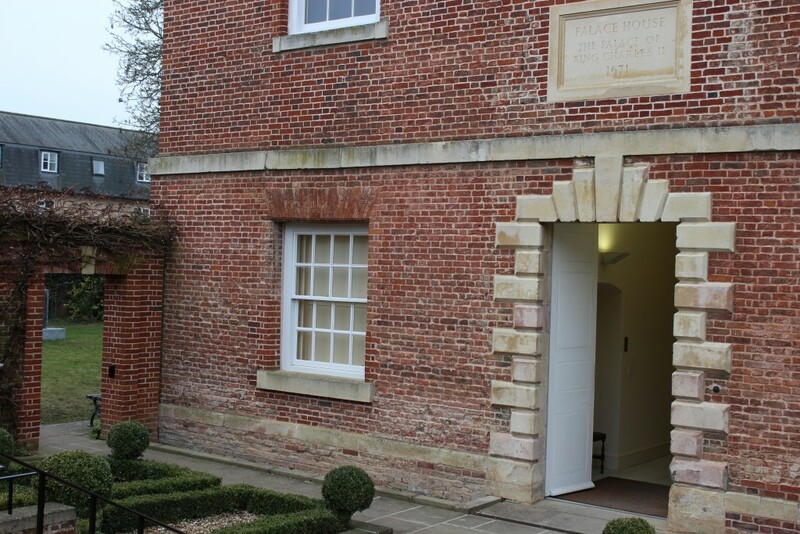 Following the trail further along the road you will discover lots of landmarks with famous residents from years gone by including the house of Nell Gwynne, Charles II mistress. As you turn into the high street you walk past the Rutland Arms Hotel built around 1815. The trail makes mention of that travelers would stay for the night, change horses then travel on to Norwich or London. 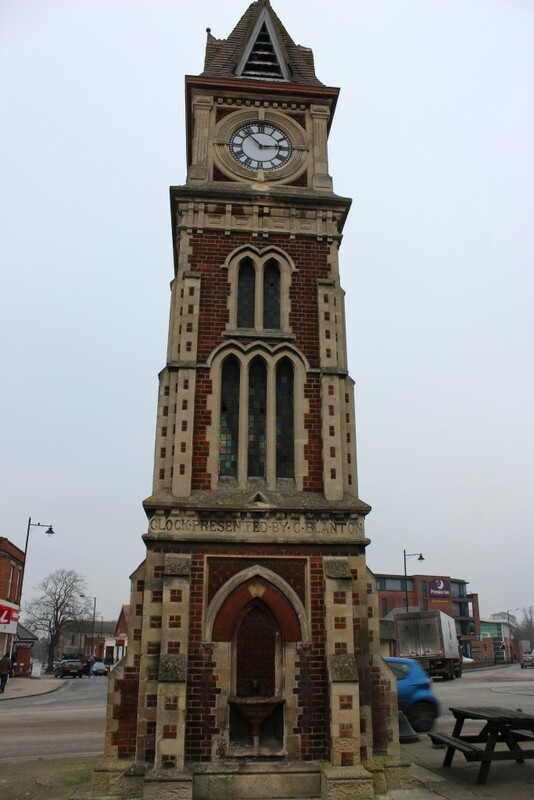 The clock tower can be seen from the high street and commemorates Queen Victoria’s Diamond Jubilee in 1887. Its a great landmark in the town, especially for people like me who have a terrible sense of direction! I found it really helped in finding my way when walking around! 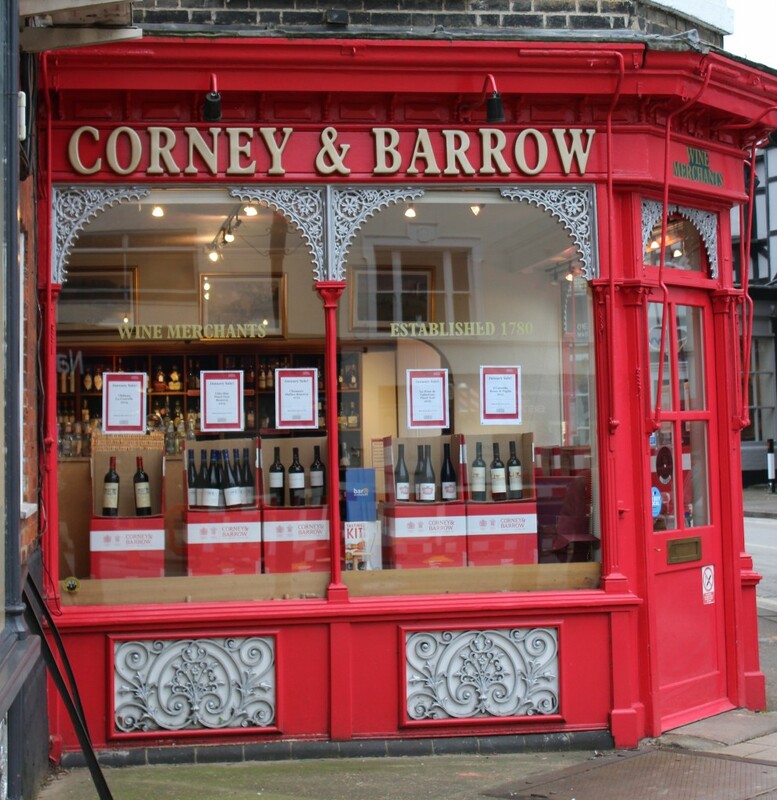 Wine Merchants since 1780, this shop front has traditional metalwork around its windows and a great display of wine inside! Whilst following the trail there are lots of opportunities to pop into the many shops along the high street or to take a slight detour if you find something of interest like this…. 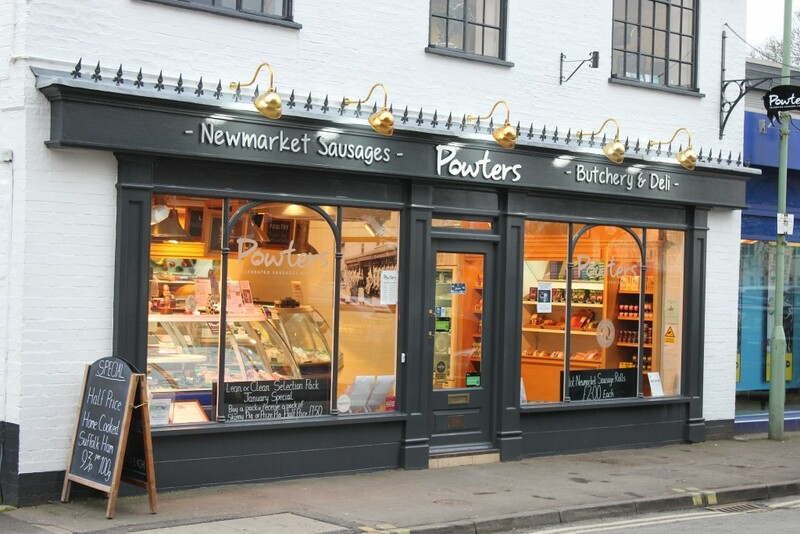 Run by the 5th generation and dating back to 1880 Powters is perhaps the oldest family run business in Newmarket. 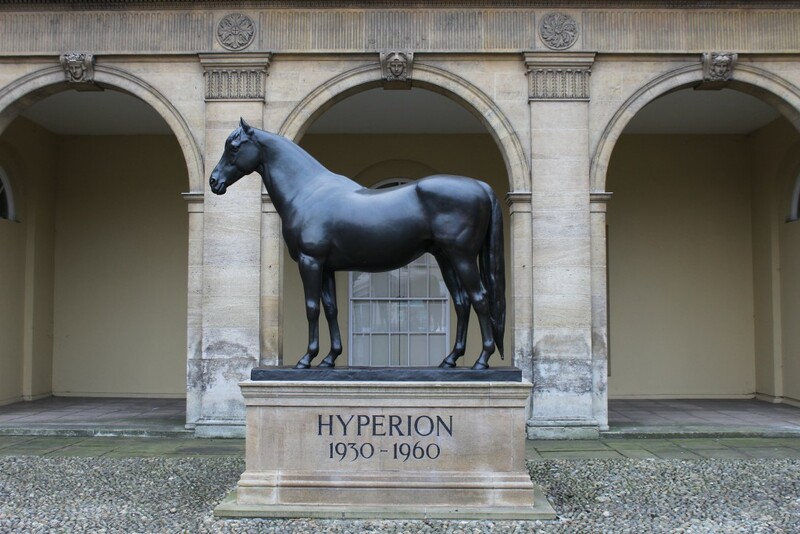 And of course whilst doing the trail you will come across a statue of a horse or two like this one outside the Jockey Club Rooms in the High Street. 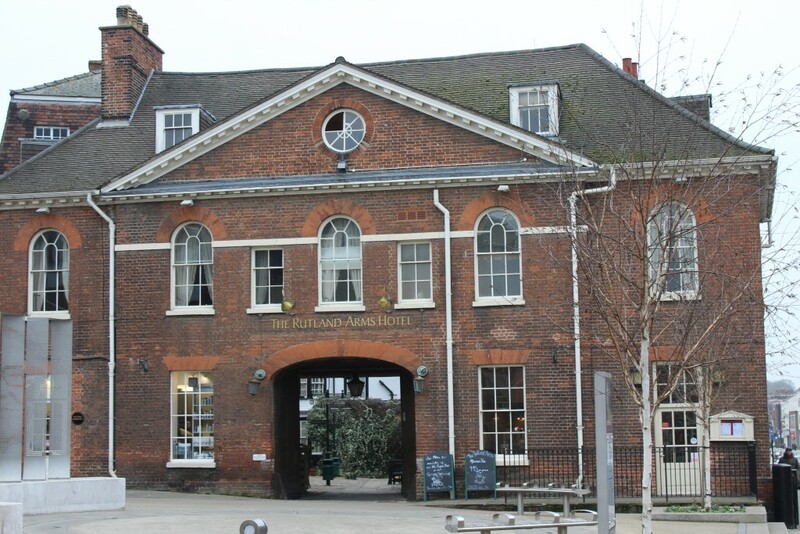 The horseshoe trail has some great info about the places you will see on your journey and there are lots of shops to browse and places you can stop for a bite to eat whilst walking around the town. As the trail is in the centre of town you can do as much or as little as you like. 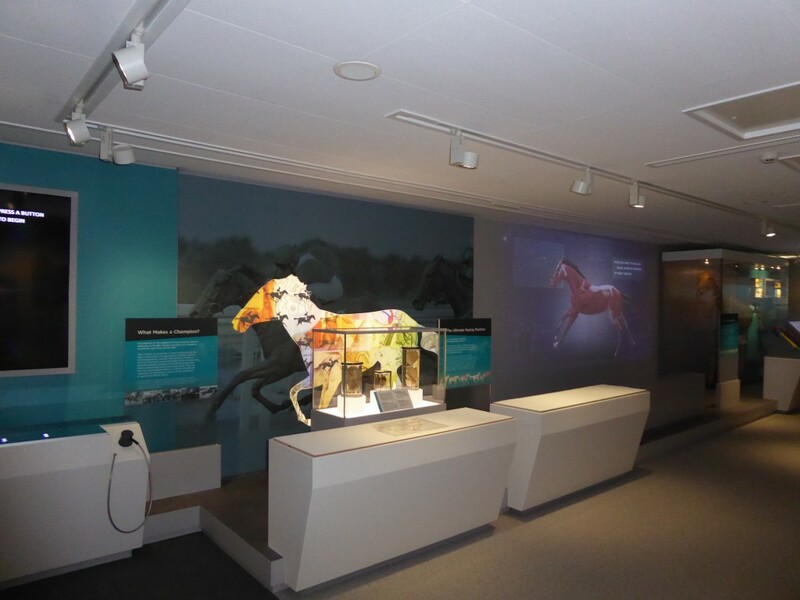 Whilst in Newmarket I also had a brief look around the National Horseracing Museum which is an amazing place and one I recommend if you have the opportunity to visit. 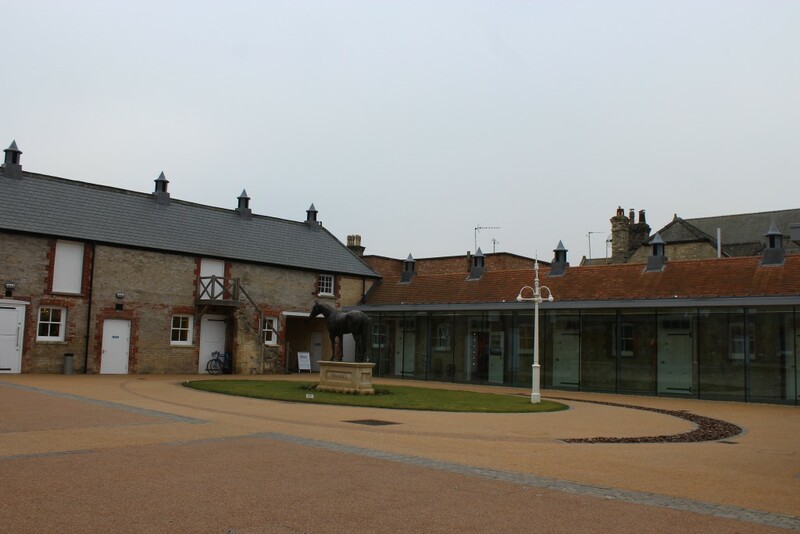 The Tourist Information Centre is at the entrance to the Guineas shopping centre (near the bus stops) If you are thinking of planning your own trip Discover Newmarket has some great information. 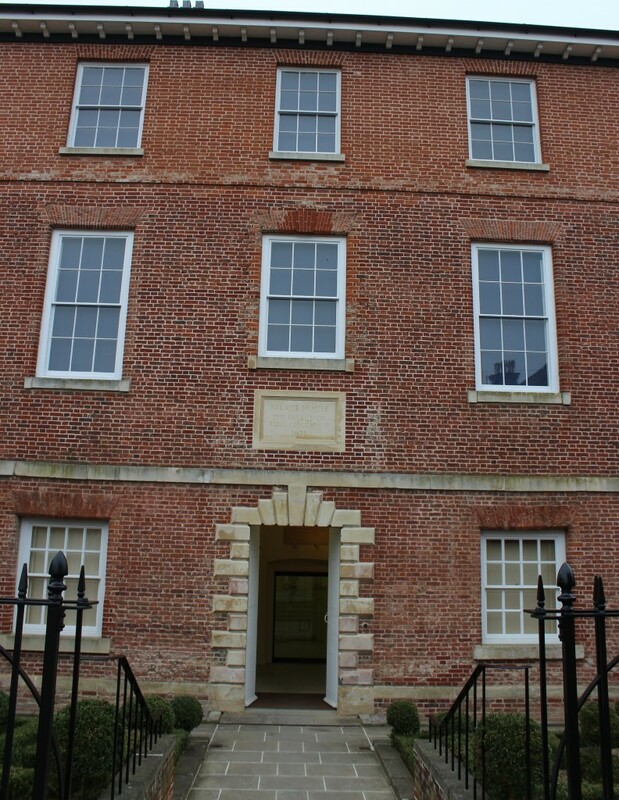 I had a great afternoon exploring the town of Newmarket and really enjoyed my first visit. I will definitely be going back, when the warmer weather arrives and plan to spend the whole day there next time!